In the realm of science it has been proven that energy cannot be destroyed, only transferred. Physical death, that which is of the human body alone, is not the ending of that energy. In the context of spiritual consideration, this energy is known as the soul, the pure energy that is a part of creation, and is absolutely equal in all human beings. Where does the soul go after passing from a human body? 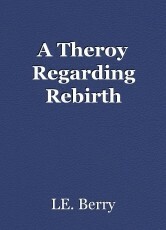 The destination is unclear, but rebirth, known as reincarnation, is quite probable. When that energy is let loose at physical death, it is then given to another body which is becoming at a time in and about physical conception. In psychology the spirit is known as ID, human idenity created through memory within the flesh brain. In the spiritual understanding, it is understood that a spirit is an indivdual created through different experiences. For instance, when a child behaves in a way that is considered something out of context of what is thought to be normal behavior, those very actions might be reflecting memories of a past life, through that childs behavior. In this theroy, an eternal human spirit, connects with the unending soul, and it is created through multiple life times, to grow in wisdom through real human experience, as we know each other through differing cultures, races and even gender. And as such, it is through rebirth that all ignorance ends. A Letter To My Dieing Generation.